The challenge is FREE, see: 90DayLowCarbChallenge.com for details. There’s So Much Conflicting Advice. It’s Confusing! Question: Some people say NO artificial sweeteners, drink LOTS of water, certain ingredients aren’t allowed, etc. What’s your take on this? Answer: All of those things are truly just personal preferences. You’ll develop your own preferences as you go but my advice is: keep it really simple to start. Using low or zero carb sweeteners is fine. Malitol will most likely upset your stomach, but you’ll figure out which sweeteners you prefer and how they affect you as you go. Water is great, but if you drink too much water, you just cause headaches and leg cramps – ie flush out your sodium and electrolytes. Those myths floating around the internet about drinking half your body weight in ounces every day: WRONG! And potentially dangerous. See: How Much Water Should I Drink? I drink water and coffee now instead, but in the winter it’s usually around 48 ounces a day at most drinking with meals. On hot summer days when I’m hiking it might be a lot more of course. Drink to thirst and just keep an eye on your urine – it should be pale yellow. Any darker and you need more water, any lighter or clear and you’re drinking too much. When I first started almost 8 years ago, I used the Atkins20 Phase One Acceptable Food List which is a VERY helpful keto-friendly food list to start with. 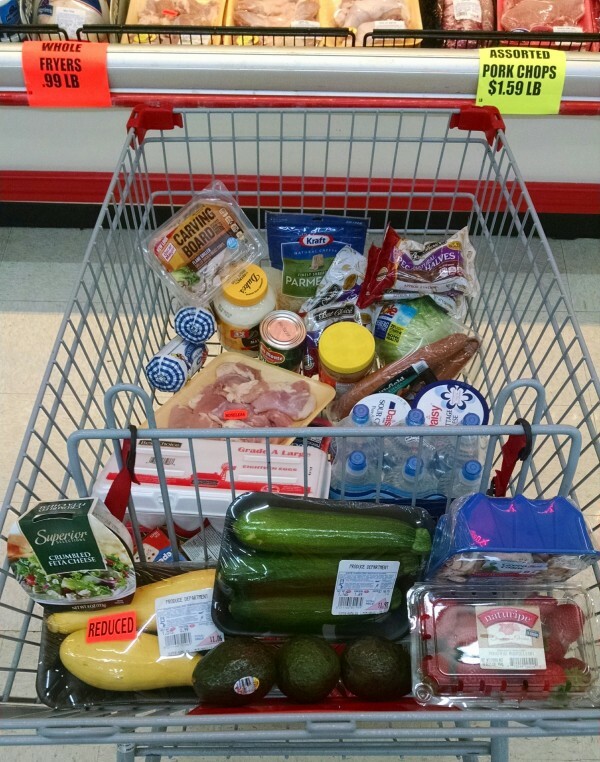 I also have several posts where you can see MY groceries such as this Low Carb Grocery Shopping post, and this Low Carb Groceries Video where I shared everything I got at the store that day. What do you consider to be the differences? 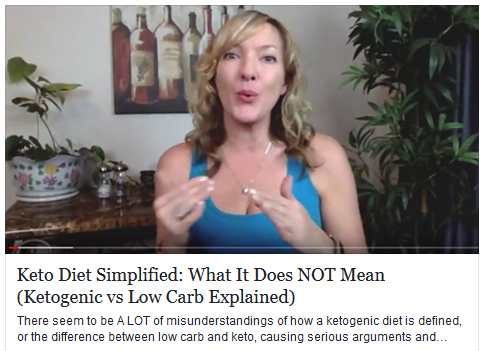 I have been eating a very low carb diet for almost 8 years now, to stay in nutritional ketosis for health reasons. I know a lot of people define “keto” in various ways though – but a ketogenic low carb diet is basically Atkins Phase One (or Atkins20) without any restrictions. “Low carb” can be defined in a number of ways, most basically: anything 100 carbs a day or less. Keto is simply VERY low carb (20 net carbs max and 70% fat minimum) – or eating low carb enough to achieve the metabolic state of ketosis for both weight loss and health benefits. Question: Should I just put in my height, age, weight and just choose “maintain weight” or what exactly? When I change my goals to 5% carbs, 25% protein and 70% fat it gives me a calorie goal. Should I just ignore that calorie goal or stick to it? Question: My protein is 106 and fat is 132. Does that sound right to you? I hear a lot about too much protein, fat should be twice as much as protein, etc. It gets confusing! Answer: You can’t go by grams because some proteins are also fats (like salmon and eggs and cheese). So you go by ratios or percentages instead. Protein should be 25% max of your total daily calories, fat should be 70% minimum. Here is a simple explanation & illustration: Macronutrients Simplified where you can see examples of how I get more than the daily recommended amount of protein, while still keeping it under 25% of my total daily calories. I didn’t exercise at all when I first started. I lost all my weight just eating low carb. I only started exercising after I reached my goal weight – and just to tone up and build muscle & strength. Exercise is good for your body though, and great for your mind too! If you CAN exercise, that’s great. If you can’t for some reason, that’s okay too. No – unless you have a specific dairy intolerance. If you find you’re constipated, eat less cheese – or cut it out altogether to see if that’s the culprit. If you are having a hard time losing weight, lower your dairy intake to see if that helps. But in general no, dairy is fine! Do I need to take any supplements like potassium, magnesium, collagen, etc? I didn’t take any supplements when I started and still don’t. I do like products that have collagen in them like the Roast Chicken Bone Broth and the Chocolate & Vanilla Keto Shakes but I don’t take daily supplements. There are low carb foods high in magnesium and potassium naturally. See: Healthy Fats & Super Foods To Eat Daily for a great list of those! To give you helpful low carb meal ideas & examples I’ll share my low carb food diaries and MyFitnessPal logs with you as we go, plus recipes & motivation to help you stay on track. 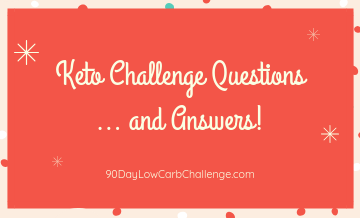 I have a lot of helpful links in the 2019 Spring Keto Challenge post too that will probably answer most of your questions, so look over that too for even more helpful tips. How are things going for you so far? This entry was posted in Weight Loss and tagged challenge. Bookmark the permalink. Your explanations are so helpful! Thank you. I’ve just started in earnest again. Changed my info on My Fitness Pal to the 20/70. Seems to be working. Hesitant to join your challenge- trip to Hawaii mid way through but will continue to track and figure things out. Thank you, Lisa! Just stick to the challenge until you leave so you’ll look and feel GREAT on your trip. 😉 And by then, you may find you’ll enjoy eating keto ON your trip as well. I really prefer eating keto when I’m traveling because that’s the LAST time I want to feel bloated, lethargic, etc. Plus there are so many beautiful low carb foods to enjoy when traveling! But either way, join in for now at least. 😉 You’ll be glad you did! For those of us who travel or work and eat out for lunch, could you share good low carb/ high fat options at chain restaurants for salads, burgers or other meals? Sometimes it is hard to know what to order. I usually get a bun less burger but sometimes I want something different. Also, in this post there are 4 images at the top. If you click on each one, you can scroll through the different images for ideas too – it’s a four part campaign I did for Atkins about eating fast food on the go and there are LOTS of great ideas in those four sets! The post is here: https://www.travelinglowcarb.com/23233/low-carb-daily-meals/ just click each of the 4 images at the top of that post. https://www.travelinglowcarb.com/23476/easy-keto-meal-ideas/ 😉 Good ideas in that one too! My starting weight on Jan. 2nd was 142.5. Got started yesterday. All set up with My Fitness Pal and excited to keep on track for the next 90 days. Tracking REALLY helps me stay accountable and also with mindful eating. I didn’t track with an app at first and never could figure out why my weight loss was stalling. Once I started tracking everything made sense. 😉 And like I said, it made me much more mindful and accountable to portions and choices! What is the app you use to count your carbs? If I can do this, and stay strict, ANYONE can -lol. Here’s to GREAT results together in this first quarter. Question about the Mojo meter: which one do you recommend? How often do you test? Are there different strips for glucose and keto? I can image it gets expensive to test… thanks! I don’t test that often unless I can tell I need to OR I’m testing certain foods – when I’m seeing if a food is truly keto friendly or not. Otherwise I use it to figure out my baseline and monitor my progress or status at least weekly. They have a really good Promo Bundle going on right now that’s a sweet deal, that or the The Ketonian Special, Founders Club Kit is a good starter and the lowest price. I’ve been doing low carb/keto for 2 1/2?years. I got to my goal weight, but I have slowly put on 15 pounds (holidays did not help). I have been back to keto for 11 days and I have not lost any weight. I am tracking and following macros. Any advice? Are you back in ketosis this time around? You’re doing 20 net carbs max and 70% fat minimum consistently, correct? What do YOU think could be the culprit – any ideas?? Is there something you’re eating or doing different this time than in the past when you got to goal weight? I started intermittent fasting and lost two pounds this week. I guess my body just needed a little change. Thanks! Can’t figure out how to post my starting weight on the challenge so I’m just doing it here. That works too, Janene! 🙂 Are you in the Facebook Group? If so there is a pinned post / announcement at the top of that group and it always has the links to the current weigh-in threads. Hi Terry. I love your blog and read it often. I am morbidly obese and starting over again, again:( I found a blog where you reviewed zero carb breads. I’ve searched for it but can’t find it. Could you give me a little direction please?